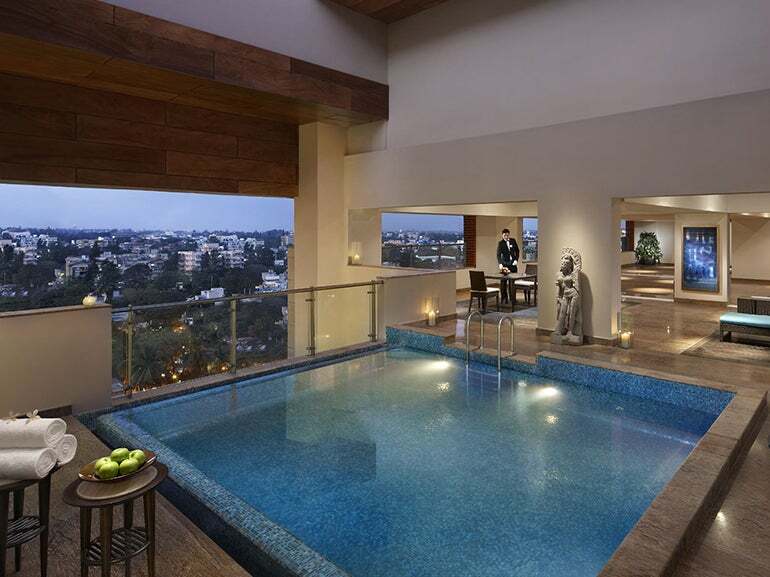 Aside from the use of a $175,000 Range Rover for the duration of your stay, the most expensive suite of this newly opened hotel also offers a private spa and marble-clad Jacuzzi on its upper floor – reached by a grand staircase. 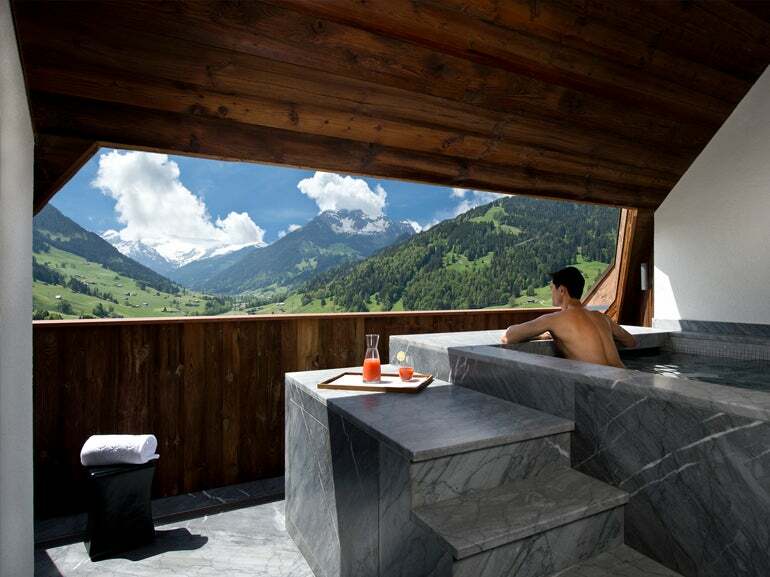 Guests can lie back, relax and enjoy the bubbles – and the view – with a spectacular skylight offering a breathtaking window onto the Swiss Alps. The top floor of this three-bedroom duplex also includes fitness and massage areas, featuring the same beautiful timber latticework visible throughout the rest of the impressive 400 square metre space. 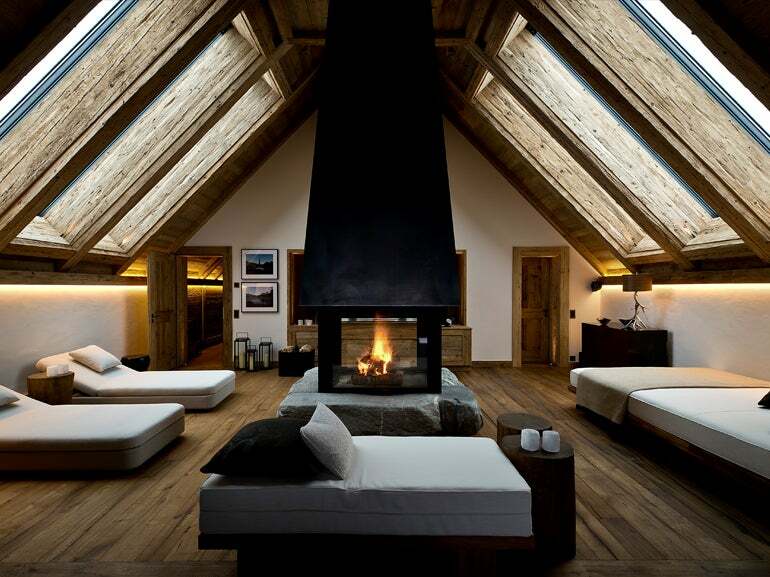 With two majestic wood-burning fireplaces included on each floor, this airy alpine suite is truly the epitome of relaxation. Loud, brash and full of fun, the audacious ‘Rock Star Suite’ of the Hard Rock Hotel Vallarta, Mexico is not for the faint hearted. 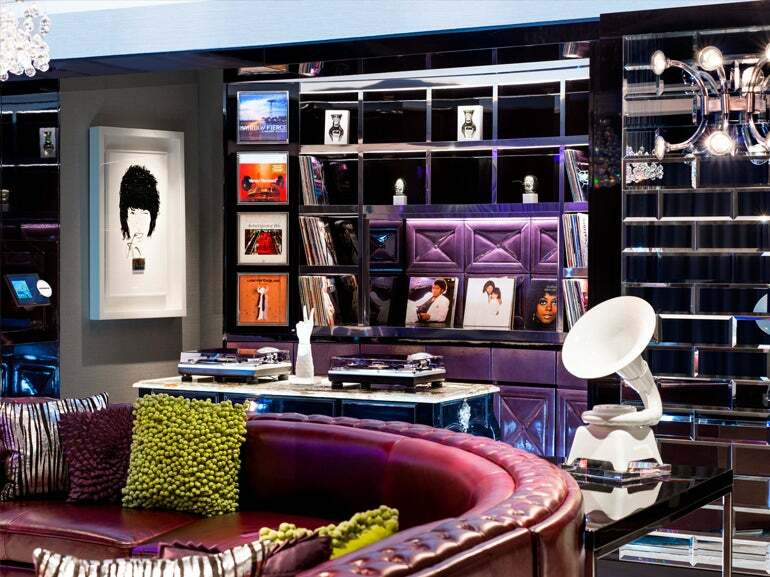 The suite includes celebrity memorabilia such as Madonna’s black bustier and Shakira’s silk nightgown. 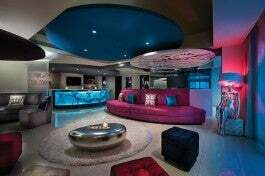 With your own private bar added to the mix, it’s the perfect palatial pad for those who want to take the party on into the early hours. 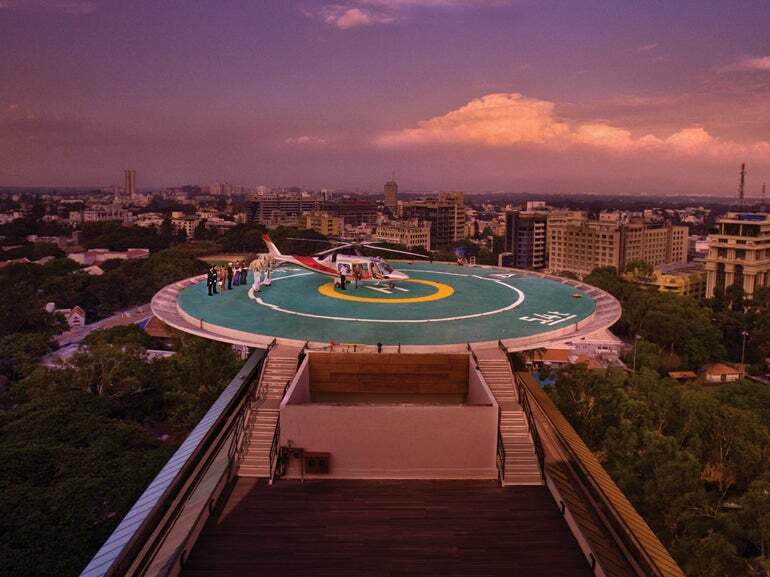 Fancy having your own helipad? 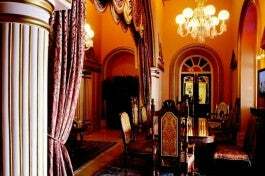 The ITC Gardenia’s lavish Peacock Suite in Bangalore offers just that and also includes bulletproof windows for extra high security. A favorite of visiting dignitaries and high powered CEOs alike, this is one suite that – just like its namesake – succeeds in making a big impression, with an aquamarine plunge pool and butler service thrown in for good measure. 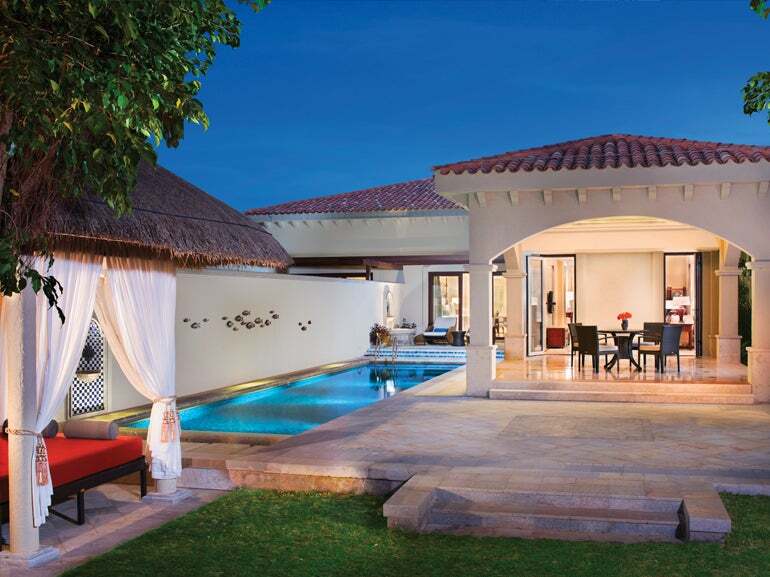 With a magnificent 16,286 square foot of outdoor space on top of an already impressive 7,180 square foot indoor area, this Mediterranean-style villa on Sanya Haitang Bay offers plenty of sprawling room. These are quarters truly fit for a king, with a luxurious outdoor pool, Jacuzzi and private access to the beach – not to mention a master bathroom housing an oversized oval tub and rainforest showers. Set 100 metres out on the Indian Ocean, these exclusive private over-water residences in the Maldives are part of a solace-seeking holidaymaker’s paradise. 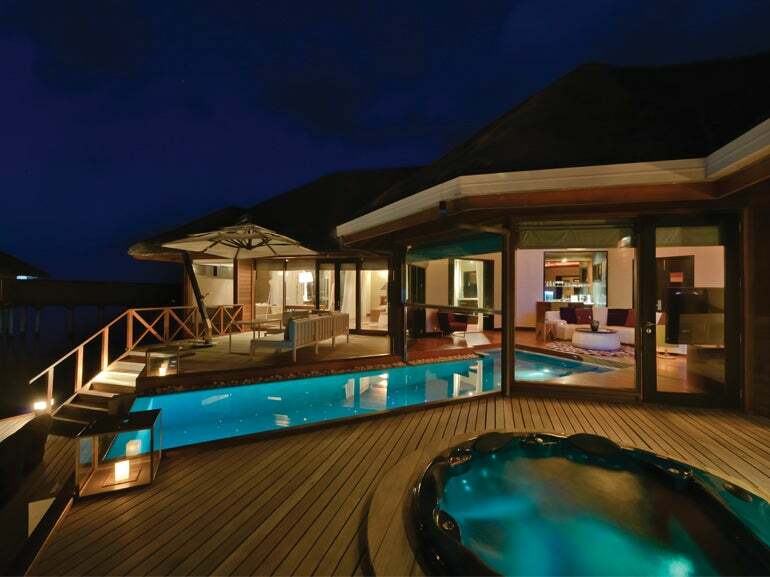 With your own private fibre-optic lit pool flowing from the indoors right to the water’s edge, as well as a sundeck Jacuzzi, guests who choose to stay at an Ocean Pavilion suite are spoiled for ways to cool down from the scorching island sun. 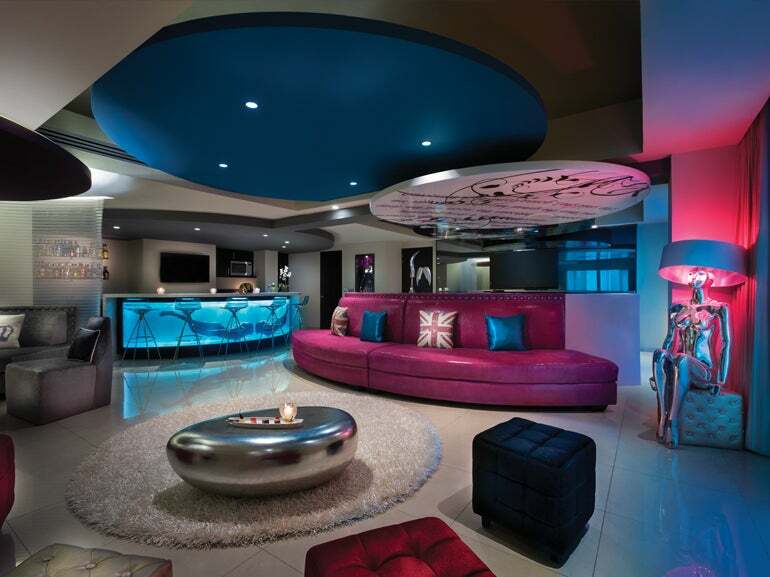 Providing not just exclamations of ‘wow’ but the ‘Extreme Wow’ Factor, this snazzy Singaporean space includes your very own DJ spinning booth and a fully stocked mini bar pantry – perfect for cocktail-making with friends. Your guests will be fully entertained in this boldly designed and zany suite, which also features a ten-person dining area and a stainless steel Jacuzzi bathtub. If the thought of small talk with other vacationers fills you with dread, then the Redentore Terrazza Suite at the thirteenth century Gritti Palace palazzo could be just the ticket. 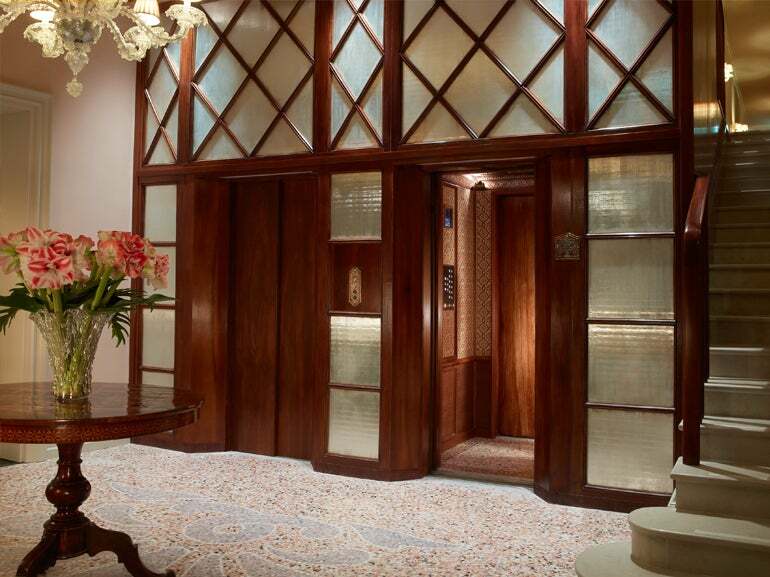 Take a trip in your private elevator directly from the lobby right into your alfresco-adorned apartment and private 250 square metre roof terrace – unique to the whole of Venice – for the ultimate in hospitality luxury. 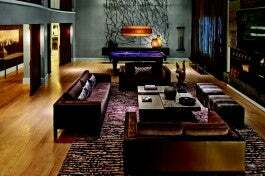 Enjoy a game of billiards but also require an oversized whirlpool tub, a spectacular outdoor terrace and top notch Japanese cuisine delivered straight to your suite? 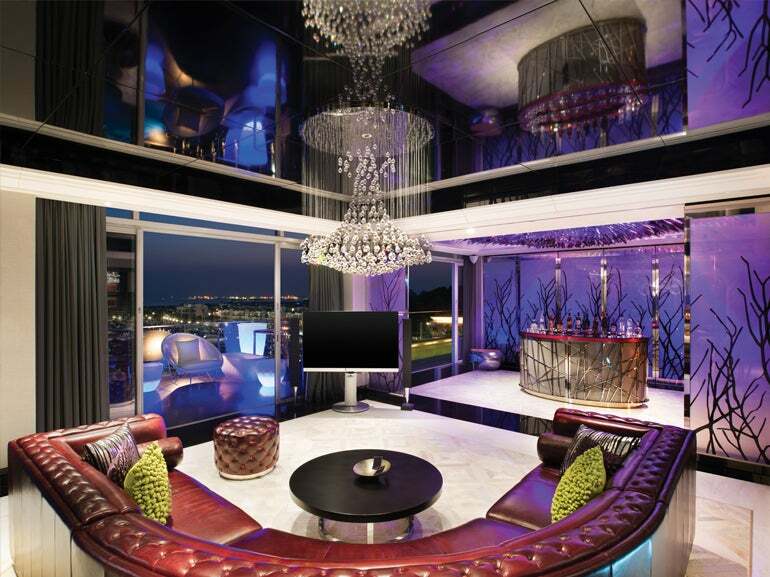 Look no further than the Penthouse suite at the Nobu restaurant chain’s first ever hotel – recently opened at Caesars Palace in Sin City. This loud and brassy suite offers in-room dishes from the hotel’s own Nobu Restaurant; the first ever to do so. 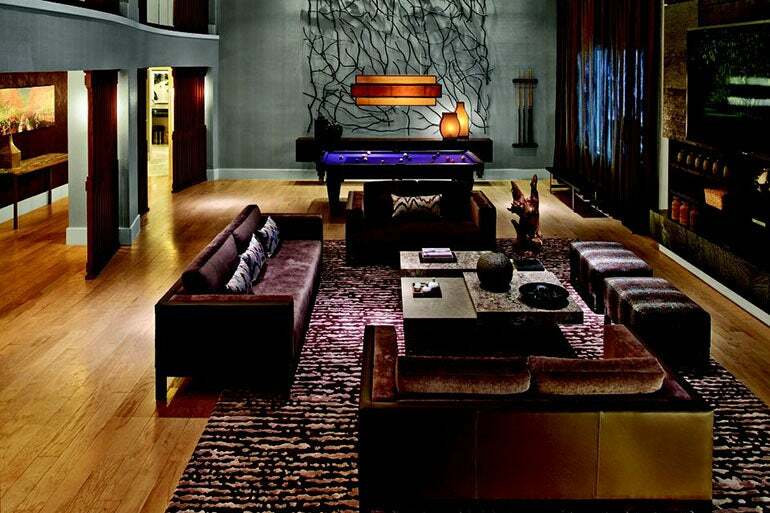 With space in this expansive suite for up to 45 people at one time, what happens in Vegas stays in Vegas. 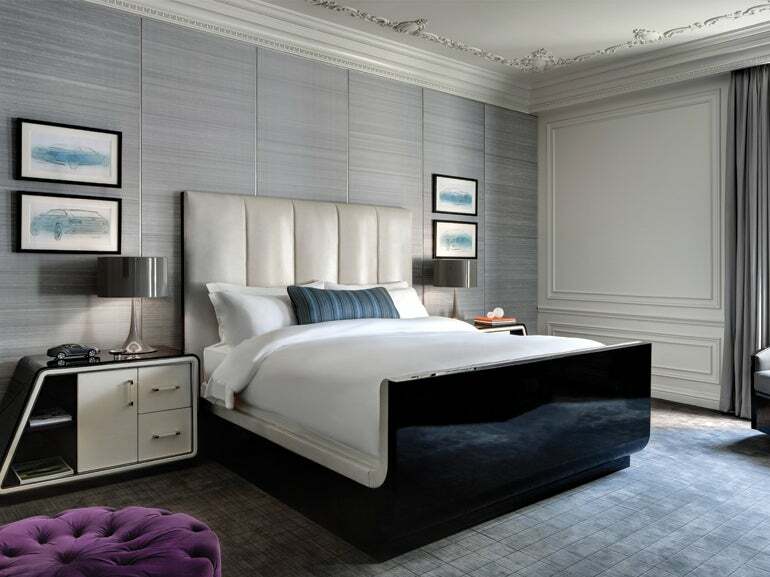 A favourite of tennis player extraordinaire Serena Williams, she’s previously said: “The suites at The St. Regis New York are beyond compare in both design and luxury. 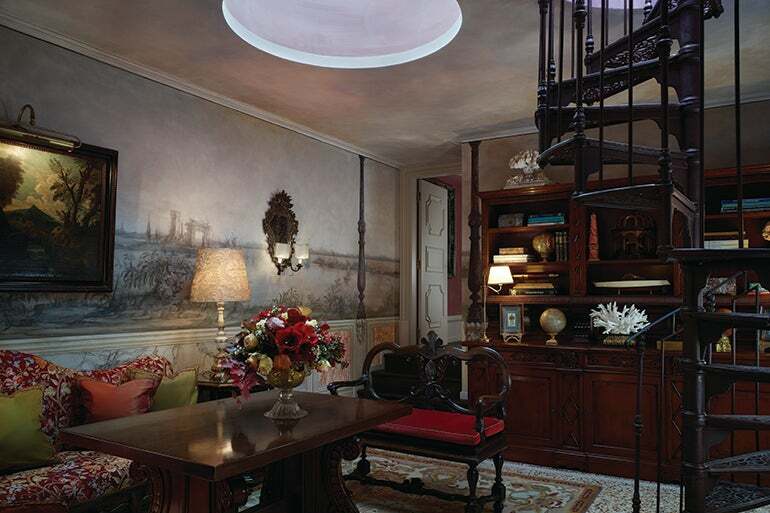 The hotel is my undisputed first choice whenever I’m in New York – for style and service. There’s no place like it.” Now there’s a high flying jetsetter you can trust. Desperate Housewife actress and film star Eva Longoria says of this palatial Mexican pad: “If you want to spend your beach vacation in the lap of luxury, being pampered by a great staff, surrounded by beauty and happily ensconced in a gorgeous penthouse, then Garza Blanca Preserve, Resort & Spa is not to be missed!” And who could argue with that?